Report is located under "Reporting" top menu under "High Precision Data" item. You can pick up a date and a time for a required period. Besides selected date-time range this report shows data for last day, last week and last month. 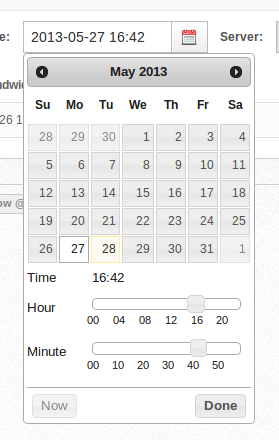 Date-time picker allows selecting precise range. The chart shows last 24 hours with 5 minute points. You can pick up maximum range of 48 hours. Having wider range will make the chart just un-usable. 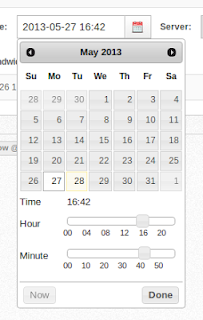 You may select any dates range and then click Export to get all data a single CSV file. Data collection is enabled on demand and it requires an additional subscription. We store detailed data for 3 months. Contact us if you have any questions regarding this functionality. 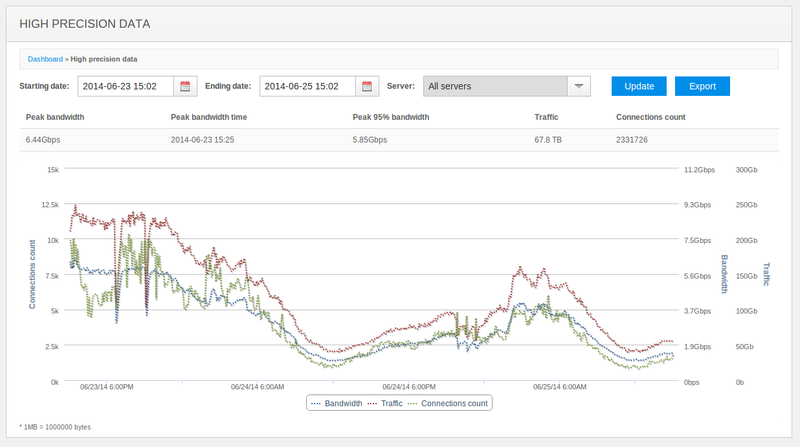 High precision reporting is also available for Nimble Streamer, the light-weight HTTP streaming server for HLS, Smooth and progressive download. WMSPanel is an official GUI for Nimble Streamer.